Divide ready to use dough into 12 pieces rolling each into a ball. Combine Frozen Wild Blueberries and cornstarch in a bowl, mix until well combined. On a prepared baking sheet or pan, place balls of dough. 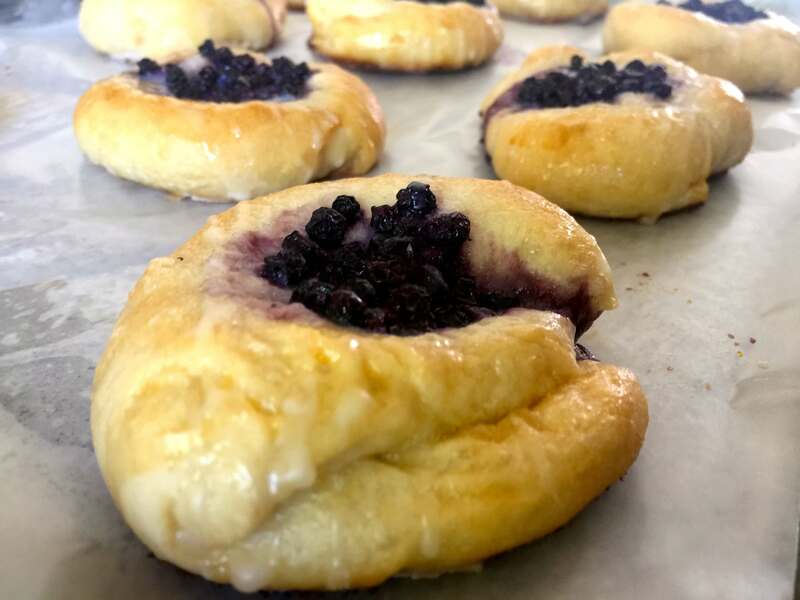 Indent each bun with a sugared glass, cover buns with whisked egg and add 2 tablespoons of Wild Blueberries to each bun. Bake the buns for 15-18 minutes or until golden. Cool completely then drizzle icing on top and serve!